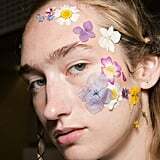 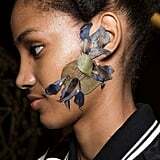 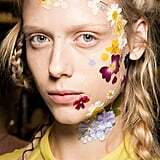 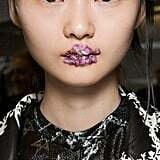 See How MAC Cosmetics Transformed Preen's Runway Models Into "Flower Girls"
Floral prints are a classic choice for Spring, but the way makeup artist Val Garland interpreted this trend on the London Fashion Week runway was completely fresh. 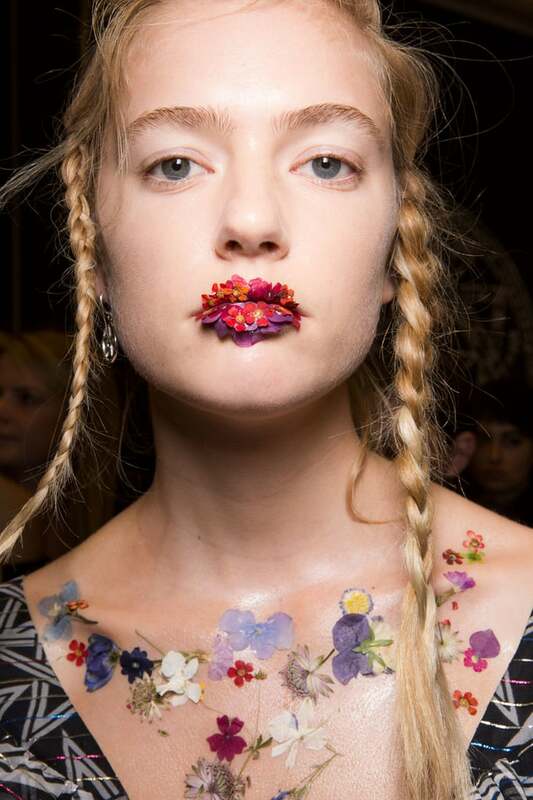 This masterpiece from the Preen show may be the most attention-grabbing look from the season thus far. 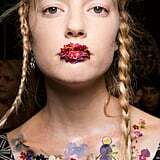 Working with MAC Cosmetics, Garland stuck pressed flowers and leaves on many of the models' lips, cheeks, and décolleté. 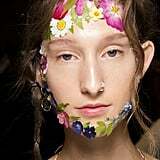 Some women looked a little more ethereal, as if they had been playing with the blossoms themselves, while others appeared like otherworldly nymphs and fairies. 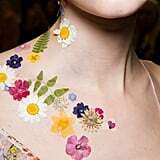 While it isn't clear yet how Garland and her team created the style, it seems that she used some kind of clear adhesive to fuse the delicate petals to skin. 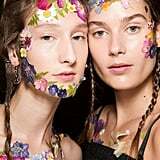 But paired with Eugene Souleiman for Wella's messy, intricate plaits, the finished look was dreamy, whimsical, and utterly innovative. 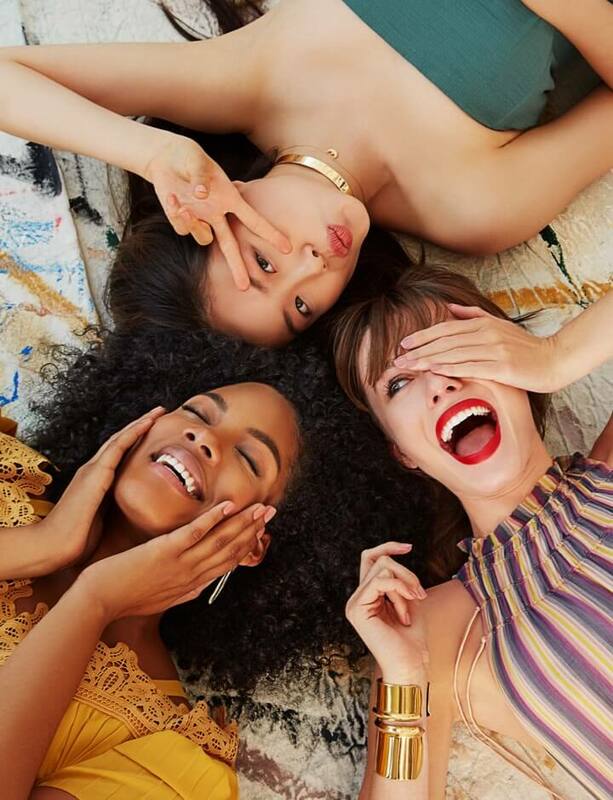 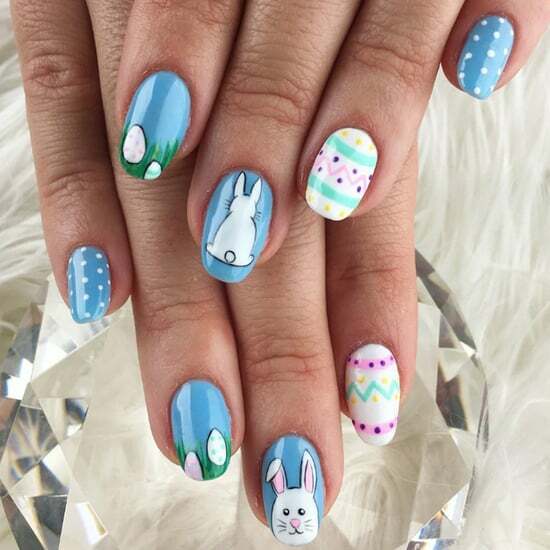 Read on to see some of our favorite shots.